We saw several big announcements related to cannabis this week. On the policy front, the European Parliament passed a resolution recommending nations in the European Union revise their laws around medical marijuana to better support research and patient access. Joaquin Rodriguez of GenX Biosciences and Arnaud Dumas de Rauly of The Blinc Group explained what this means. In domestic news, Members of the House Financial Services Subcommittee on Financial Institutions and Consumer Protection heard testimony Wednesday from several representatives in support of legislation that would make it easier for banks to work with legal cannabis businesses without fear of federal prosecution. The committee discussed a draft of the Secure and Fair Enforcement (SAFE) Banking Act, which is expected to be introduced in the House of Representatives this month. Read more about the banking hearings and what the National Cannabis Industry Association has to say about it here. Over the last five trading days, the Horizons Marijuana Life Sciences Index ETF (OTC: HMLSF) (TSE:HMMJ) gained 3.3 percent, while the ETFMG Alternative Harvest ETF (NYSE: MJ) rose roughly 3.5 percent. The SPDR S&P 500 ETF Trust (NYSE: SPY) closed the period up about 2.4 percent. On the markets front, California's best-selling cannabis flower brand, Flow Kana, raised $125 million, completing the largest private funding round of a U.S. cannabis company to date. The first-of-its-kind company doesn't cultivate cannabis but rather acts as a conduit for small, decentralized and sustainably-operated cannabis farms. “The vision for a sungrown, sustainable and regenerative cannabis movement is not a niche market for politically correct consumers. It’s a systematic transformation of our global food and medicine production system that can cool the planet as we heal the world,” Flow Kana CEO Michael Steinmetz told Benzinga. Aurora Cannabis reported results for the second quarter of fiscal 2019, posting gross revenue growth of 109 percent sequentially to $62 million. The gross revenue surged by over 430 percent compared to the same quarter of fiscal 2018 and was lower than the consensus analyst estimate of $67 million. Meanwhile, Canopy Growth reported fiscal third-quarter results, with revenue up 283 percent year-over-year. Wurk, a human capital management company for the cannabis industry, secured $11 million in a funding round. The company plans to use the capital on its expansion strategy. More about this story here. Web-based data technology platform CannaRegs completed a $2 million raise to expand beyond cannabis. Cannabis dispensary operator Medmen Enterprises is being pushed out a New York medical marijuana trade group amid allegations made by the company's former CFO in a lawsuit against the company. Benzinga learned Cannabidiol (CBD) products are now included in the Prescribers' Digital Reference -- formerly known as the Physicians' Desk Reference -- for the first time ever. The companies are HempMeds and Kannaway, two subsidiaries of Medical Marijuana Inc (OTC: MJNA). Barneys New York and luxury cannabis company Beboe, recently acquired by Green Thumb Industries, partnered up to sell cannabis lifestyle products at select Barney’s locations. Read all about the upcoming The High End stores here. 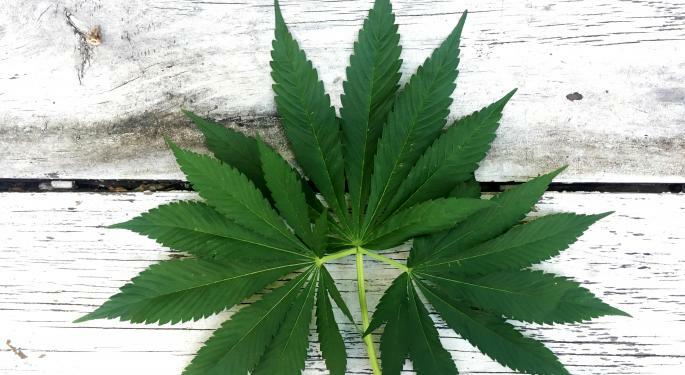 The cannabis industry reached another investment milestone when Standards & Poors announced Thursday it will add the cannabis REIT Innovative Industrial Properties (NYSE: IIPR) to its 600 SmallCap Index next week. TILT Holdings (OTC: SVVTF) announced preliminary and unaudited pro forma January 2019 gross revenue of $18.3 million. Over 2018, the company reported pro forma annual gross revenue of $97.3 million. These recent financial results establish TILT as one of the top U.S. revenue producing publicly traded cannabis companies. Pro forma January revenue was driven by continued growth of all companies within TILT, including recent acquisitions. January numbers do not reflect the opening of any recreational stores, which are expected to come online throughout 2019. FLRish, Inc., the parent company of California cannabis retail brand Harborside, announced it has entered into a definitive merger agreement with Lineage Grow Company. Once approved by the Canadian Securities Exchange (CSE), Lineage will change its name to Harborside Inc., and trade under the stock symbol HBOR. “This is a major milestone on the road to transitioning the United States’ most iconic dispensary into a major player in the public markets. 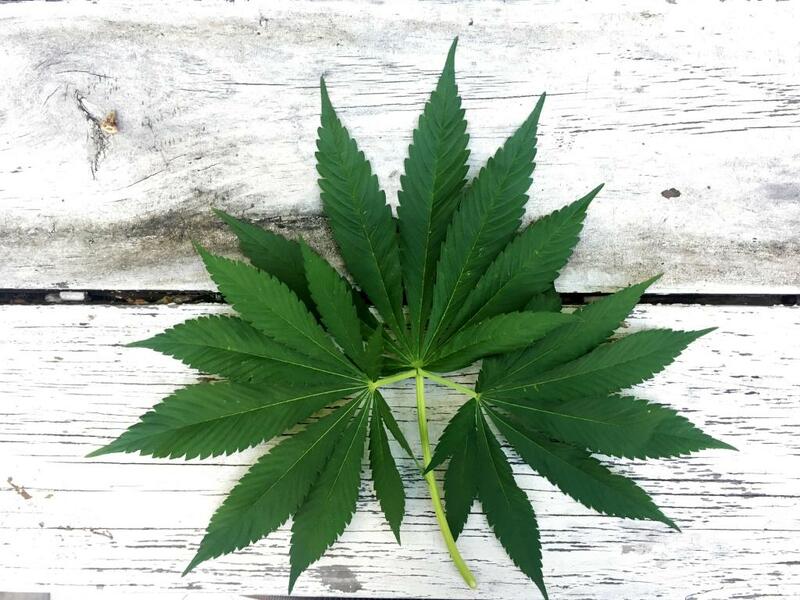 After carefully considering multiple strategic options, we concluded that a reverse take-over of Lineage would be the strongest capital markets vehicle, in part due to the cannabis assets that it brings to the table, including a California cultivation facility and dispensaries in California and Oregon,” Andrew Berman, CEO of FLRish and Harborside told Benzinga. Driven Deliveries Inc. (OTC: DRVD) expanded its California cannabis delivery platform. Driven Deliveries has established relationships with four cannabis retailers located throughout California's largest markets. This will ultimately allow Driven to support deliveries in the Bay Area, Central California, Sacramento, the OC, and Los Angeles areas. MChris Boudreau, CEO of Driven Deliveries, told Benzinga, "This is an exciting time for our company as we continue to grow at an exponential rate. As we plan to advance through California and to surrounding states, Driven Deliveries will maintain the highest service to our customer while adding numerous partnerships along the way." Biome Grow Inc (OTC: BIOIF) announced an agreement to access high quality hemp-derived CBD concentrate from CBD Acres. The initial term is for a period of five years, during which Biome may acquire up to 20,000kg of concentrate (equivalent to over 150,000 kg of dried flower) per year. Biome noted hemp-based CBD having no THC allows them to tap into new international markets more easily as they bring medical cannabis programs online. Additionally, they plan to bring the cost of CBD down to a significantly lower rate than the current market, due to proprietary technology and outdoor Hemp grow not being regulated by the cannabis act. “We can generate over $200m in revenue with this supply agreement, which is substantially better margins than if we built our own production facilities. However, we avoid the CAPEX spend and complexity of running a highly regulated Cannabis Act facility. This is the very definition of a more efficient cannabis company,” said Khurram Malik, CEO of Biome Grow. Acreage Holdings’ New York affiliate, NYCANNA, is opening first metro-New York City location, The Botanist, on Feb. 20. In keeping with the store’s mission to enable access to cannabis for every registered patient or caregiver who needs it, all veterans who purchase product or merchandise at The Botanist will receive a 10 percent discount through the end of March. 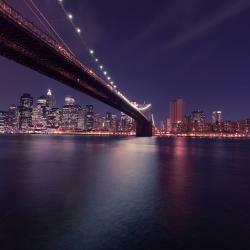 “When NYCANNA applied for a medical marijuana license in New York, we chose locations, including Queens, that we anticipated would be particularly under-served,” a spokesperson for NYCANNA told Benzinga. MassRoots Inc. (OTC: MSRT) announced it has entered into a definitive agreement to acquire COWA Science Corporation, a supply-chain as a service company. The common-stock consideration has been valued at approximately $5.78 million, and is dependent on COWA Science achieving certain annual revenue milestones. Medigus Ltd. (NASDAQ: MDGS), an Israel-based medical device company that focuses on developing minimally invasive endo-surgical tools said it's eyeing the medical marijuana industry. Village Farms International Inc (OTC: VFFIF) announced the approval of its request to list on the Nasdaq under they symbol “VFF.” The vertically integrated greenhouse grower “is now leveraging its 30 years of experience as a vertically integrated grower for the rapidly emerging global cannabis opportunity through its 50% ownership of British Columbia-based Pure Sunfarms Corp., one of the single largest cannabis growing operations in the world. The Company also intends to pursue opportunities to become a vertically integrated leader in the U.S. hemp and CBD markets, subject to compliance with all applicable U.S. federal and state laws,” a press release said. Weekend Unlimited (OTC: WKULF) announced the appointments of Karl Schmieder to the role of Director of Business Development, and Tom Wisniewski as Vice President of Sales Operations. Their dispensary brand, Northern Lights Supply in Nisku, Alberta received its initial shipment from AGLC, allowing it to set a grand opening date for Feb. 23, with approximately $200,000 worth of inventory. The firm closed the week by entering into a definitive agreement with R&D Pharma in Jamaica, which is anticipated to close next week. Harvest Health & Recreation Inc. (OTC: HRVSF) announced it will acquire Falcon International Corp., a California cannabis company, for a “non-material undisclosed amount of stock.” Harvest will use Falcon as the backbone of its California operations and foundation for national brand distribution, the company explained. “At Harvest we're focusing more on brands as we see them as a pivotal part of the future of cannabis. Falcon has done a great job of manufacturing in a very competitive market and we are thrilled to bring their products to more than a dozen states around the country,” Harvest’s Executive Chairman Jason Vedadi told Benzinga. Pennsylvania cannabis cultivation and dispensary company Ilera Healthcare tapped Dr. Oludare Odumosu as Chief Scientific Officer and EVP of its Pharmaceutical Division. He will be in charge of driving research, development and implementation of Ilera’s proprietary “pharmaceutical-grade” medicines and therapeutic platforms to the global marketplace. Odumosu brings 10 years of experience in corporate pharmaceutical business development, operations and strategic alliance management to his new role. In addition, Tom Borger will be joining the the company as the new Chief Operating Officer, with a focus on building a world class marketing and retail operation. Borger brings a blend of marketing, technology and general management experience and has worked extensively in both start-up and large companies, including Johnson & Johnson (NYSE: JNJ) and GlaxoSmithKline plc (NYSE: GSK). A new seed-to-sale tracking system for legal cannabis and hemp is moving closer to commercialization as Applied DNA Sciences Inc (NASDAQ: APDN) and TheraCann International Benchmark signed a term sheet for a long-term exclusive licensing agreement. As per the agreement, TheraCann will be able to use Applied DNA’s proprietary CertainT supply chain integrity platform technology as part of its ETCH BioTrace seed-to-sale tracking system. Applied DNA will receive $5 million in non-contingent phased payments over a period of six months. Stratos CBD launched what they claim is “the world’s first and only full spectrum hemp oil and CBD isolate from hemp oil tablets.” The tablets are created with pharmaceutical ingredients and Colorado-grown hemp oil, they explained. Entrée Capital, a venture capital firm that funds multi-stage startups and companies, announced it's actively seeking investments in companies from the cannabis sector. The firm has selected Israel-focused cannabis innovation hub Can Innovation Finder (CIF) to be its advisor on the industry. CannAmerica Brands Corp (OTC: CNNXF) announced a new licensing agreement and brand partnership with Flower One, the largest cannabis cultivation greenhouse in Nevada. Flower One’s 400,000 sq foot greenhouse is capable of producing 140,000 pounds of flower is the best opportunity for CannAmerica to expand its operations in preparation for FDA regulations and federal legalization of cannabis in the U.S.
Read about these and other news with out friends at Marijuana Money. Looking at factors such as employment growth, salaries in manufacturing and rent pricing for industry, the report identified the top five ‘buy’ markets for commercial real estate in the industrial sector across the U.S. – all of which are located in California, and include Los Angeles, Sacramento, San Francisco, Oakland and San Jose. Further analyzing the impact of marijuana legalization on the real estate market in California, Jay Morrison, former real estate broker and now CEO of Tulsa Real Estate Fund, believes the attractiveness of the California market is due to the positive momentum behind the marijuana industry, including state support and access to an existing infrastructure which allows for room to grow business and industry. Morrison thinks state laws will continue to change based on the popularity of the industry, growth trends, sustainability as a desired product and grassroots momentum. “How Alleged WHO Recommendations Would Affect International Cannabis Markets” and “GenCanna Exec Explains Two Advantages Of THC-Free Hemp,” by New Frontier Data’s staff. “Why Analysts Are Excited About These Three Cannabis Stocks,” by Saul Bowden. “4 Stats That Show How Big The Global Cannabis Market Is Becoming,” “The Home Depot Of Cannabis: How GrowGeneration Pitched Itself To A Room Of Investors,” and “KushCo, DionyMed And More Investor Presentations From The Cannabis Capital Conference,” by Spencer Israel. Alex Oleinic reported on TerrAscend Corp. (OTC: TRSSF) expanding to the U.S. through the acquisition of California-based retailer Apothecarium, and Pyxus International Inc. (NYSE: PYX)’s Q3 results. “States Push To Expand Cannabis Access: Will The Market Follow?,” by Andew Ward. “Canaccord's Takeaways From Aurora's First Full Quarterly Earnings Print,” by Jayson Derrick. MediPharm Labs Corp. (OTC: MLCPF) closed a $26.4 million cannabis oil deal. “Oregon Aims To Create An Export Market For Marijuana” and “Aurora Cannabis Ramping Up Production As Revenue Surges On Legal Pot Market,” by FreightWaves’ staff. “Constellation Brands Made The Right Move With Early Cannabis Investment, Wells Fargo Says,” by Elizabeth Balboa. Shares of Youngevity International Inc (NASDAQ: YGYI) spiked on the purchase of Khrysos Global, a manufacturer of extraction equipment. “Survey: Despite Marijuana Legalization, Canada Sees No Change In Number Of Consumers” and “Valentine's Day Gift Ideas: Weed-Infused Products For The Marijuana Connoisseur And Canna-Curious,” by Alex Oleinic. “The Marijuana ETF Continues To Impress; Could Institutional Interest Be Next?,” by Todd Shriber. Check out these and other cannabis stories in our cannabis portal. Feb. 16: Brotherly Love and Operation EVAC are having a lounge takeover at Moe Greens, in San Francisco. During the takeover, 10 percent of all proceeds will be donated to Operation EVAC. Feb. 19: Trailblazers in the cannabis industry will come together at Accelerate Cannabis, New Jersey’s Expanding Market, an educational and networking symposium to be held at the New Jersey Performing Arts Center. Organized by the team at Longview Strategic, presentations include cannabis specialists including policy makers, strategists, entrepreneurs, scientists, attorneys and more. Organizer Ellie Siegel said that consultants, local government experts, and cannabis brand leaders will discuss how New Jersey is prepared for adult-use legislation and the expansion of the medical program. Feb.19: Grit Capital and KCSA are hosting an Unforgettable Cannabis Tour in Florida. This tour is an opportunity for institutional portfolio managers, investment advisors and family offices to visit dispensaries of some of the top U.S. cannabis multi-state operators, participate in personal discussions with executive management, and gain insight on the rapidly growing U.S. cannabis landscape. "We can't wait to show Florida an exclusive event done by Grit Capital & KCSA! All 3 highlighted companies have something unique to offer - our job is to create face-to-face engagement to spark a real relationship between interested investors and the companies. Our goal is to create the highest ROI for both sides, and what could be better than doing it in the Sunshine State,” said Nicole Marchand, Grit Capital’s CEO. Feb. 23: Chanda Macias, founder of National Holistic Healing Center, and chairwoman and acting CEO of Women Grow, will be the keynote speaker at a free day-long conference aiming to help New Yorkers of color to join the ranks of those who own legal cannabis and hemp businesses. Elected officials including New York State Attorney General Tish James will join medical clinicians, grassroots community and health organizers, attorneys and cannabis/hemp entrepreneurs who are among the line-up of national, regional and local expert speakers and workshop facilitators for The Business of Cannabis, at Emmanuel Baptist Church in Brooklyn. Tickets are free. Feb. 27 – March 1: The 5th Annual Emerald Conference will be held at Loews Coronado Bay Resort in San Diego, California. The conference brings together top scientists, extraction and cultivation professionals, and visionary business leaders in a collaborative environment that fosters groundbreaking advancements. Feb. 27: CannaImpact and Nextage Innovation announced their first annual Cannabis Tech Pitch Night, to take place in Tel Aviv, Israel. The purpose of this Pitch Night is to ignite innovation in the medical cannabis and tech industry and to provide pioneering startups with exposure to technology leaders, investors, and potential partners, the organizers explained. The winning startup will receive a complimentary creative package to help push their venture forward, as well as mentoring from cannabis industry leaders. April 8 – April 10: Cannabis Science Conference will host its first East Coast event at the Baltimore Convention Center in Baltimore, Maryland. The Cannabis Science Conference, organized by CSC Events, LLC, will feature television icons and cannabis advocates, Montel Williams and Ricki Lake, along with over 75 expert presenters. May 28 – June 1: The Cons is a gathering of three trade and fan shows -- the Cam Con, the Cannabis Con, and the Inked Con -- all under one roof at the SLS South Beach Hotel in Miami Beach, Florida. The Cons 2019 will offer a variety of seminars with top industry panelist, networking parties and performance displays to benefit the industry’s content providers, models and affiliates. While these industries have differences, in many ways they overlap.